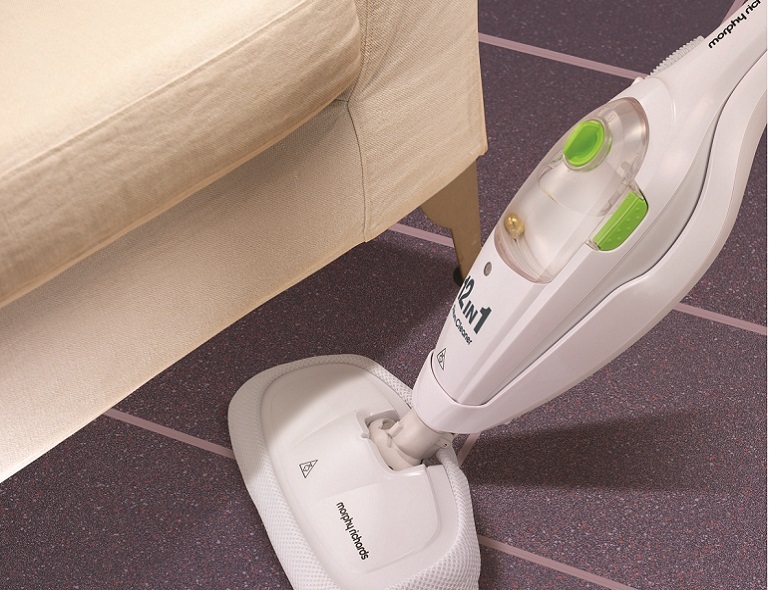 The steam cleaner is 1600w which allows for a quick heat up time and less time spent waiting around for your cleaner to heat up. It has the ability to produce steam after just 30 seconds. 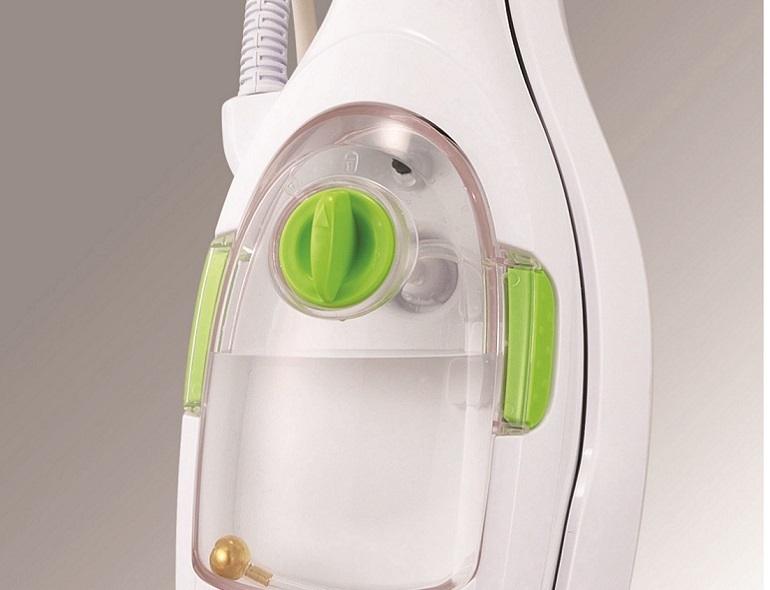 Once the steam cleaner is switched on, all that is required is to use the steam trigger control to manage the steam output. The large water capacity allows you to steam clean for up to 14 minutes and with the clear view tank can be simple to tell when you need more water. The tank is detachable to allow uninterrupted steaming and easy filling too. 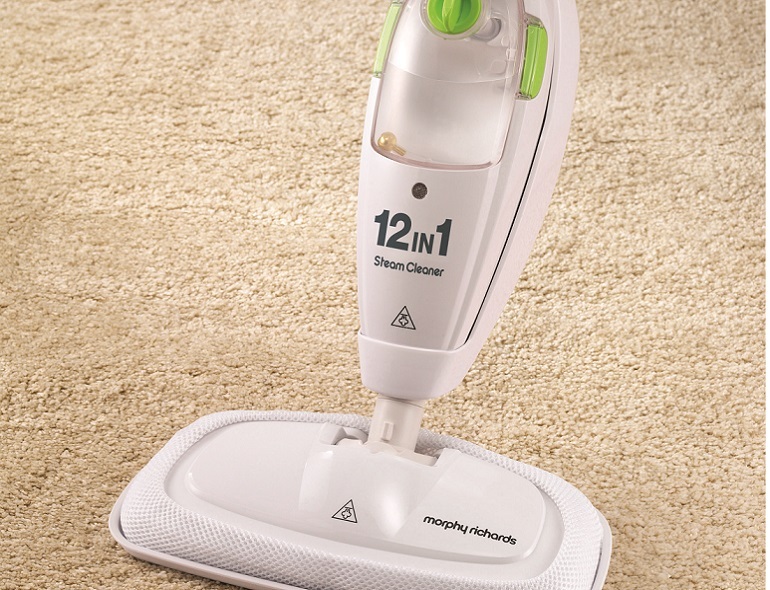 The 12-in-1 steam cleaner’s floorhead is designed to create easy manoeuvrability around your home. 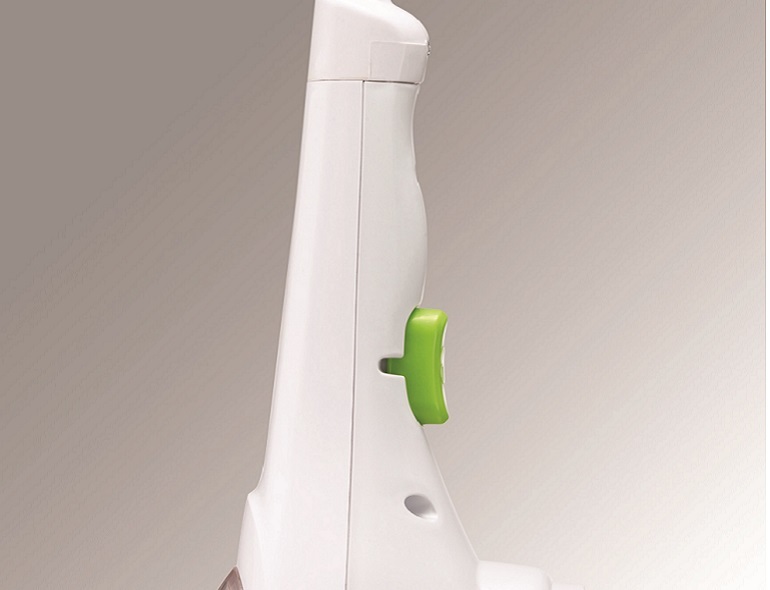 ​Also available in the steam cleaner range is the 9 in 1 Steam Mop. 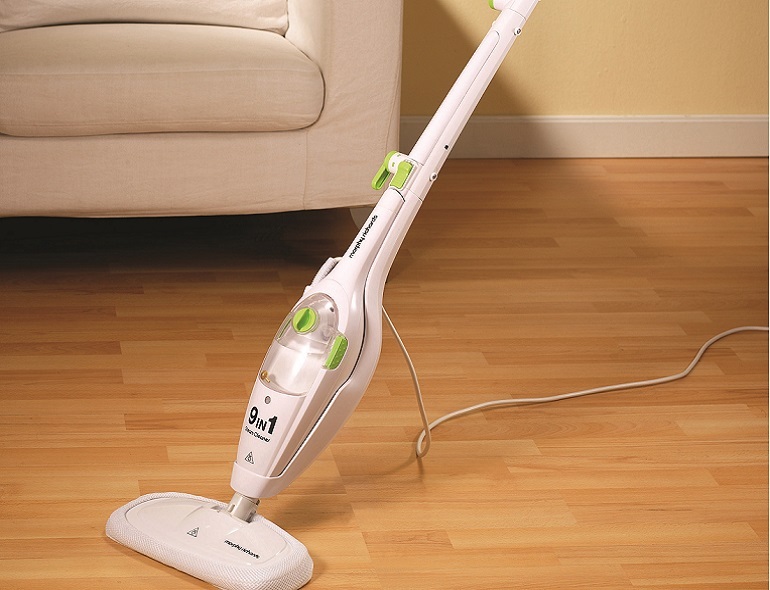 Keep your home dust and dirt-free with our floor care range. The easily detachable, large capacity water tank means you’ll spend more time steaming than filling up and the 30 second heat up time and 14 minute running time means you won’t be kept waiting around. 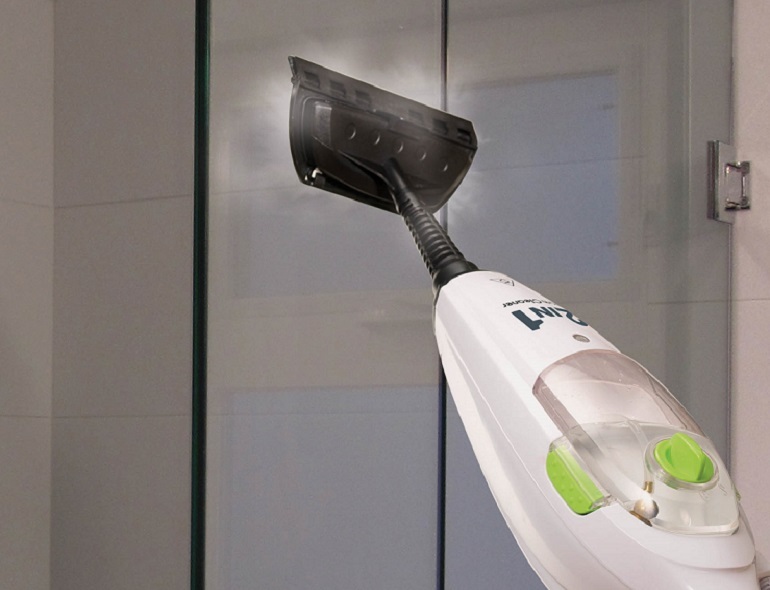 The cleaner has a 5m cable allowing you to clean large surface areas. 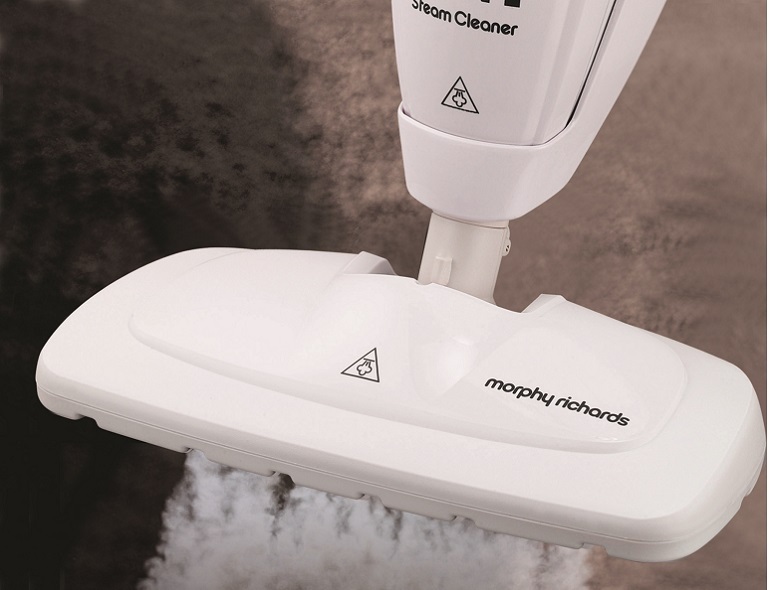 With the 12-in-1 steam cleaner from Morphy Richards, getting a deep clean around your home is a breeze.